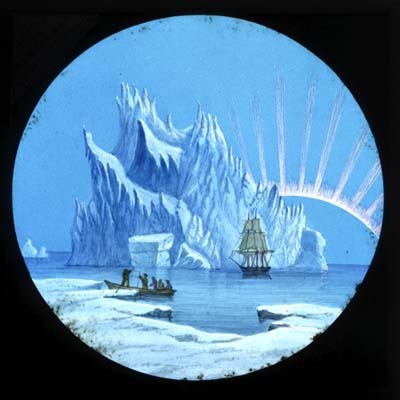 The magic lantern, an early form of slide projector, has been entertaining, and latterly informing, children and adults for over 300 years. 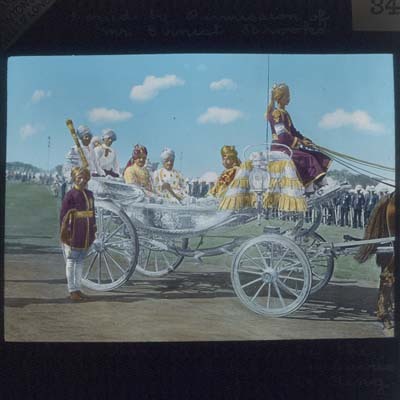 Travelling magic lantern showmen toured towns and villages in Europe putting on shows in homes, taverns and castles. 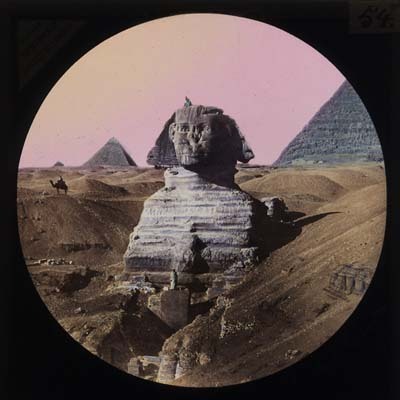 By the early 1800s shows were being given in theatres and by the end of the century magic lantern shows could be seen in church halls, schools, town and village halls. 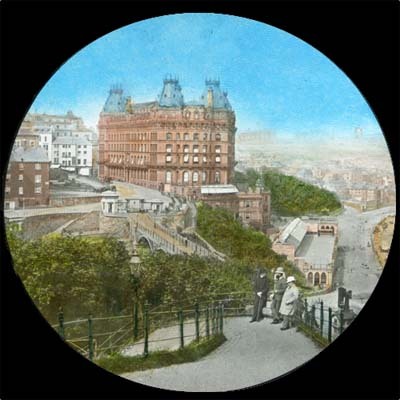 Robin is the author of a number of books on the local and railway history of the Yorkshire coast and has been providing shows for a variety of audiences for over 30 years. 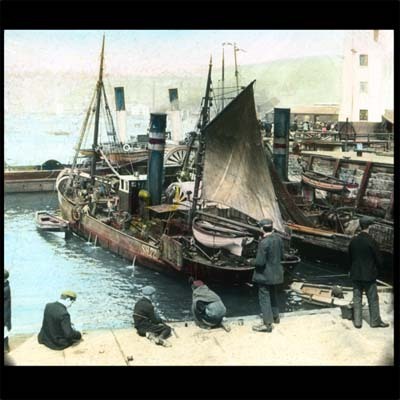 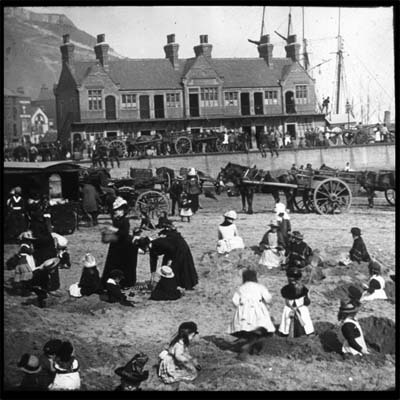 Shows are tailor made from a collection of over 3000 original lantern slides that include dissolving views; hand-painted and animated slides; the dazzling chromotropes; and a large number of topographic slides that cover the Yorkshire coast especially Scarborough, Whitby and Robin Hood's Bay; lifeboats and shipwreck; local history; railways and other transport; marine and seashore life; village life and street scenes; and seaside resorts. 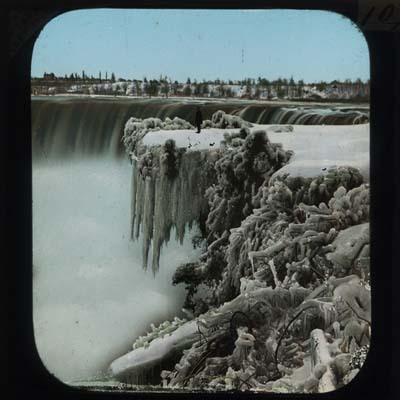 These slides range in date from about 1880 to 1950. 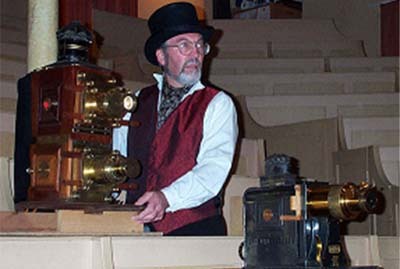 Each show can end with some of the humorous and animated slides that are up to 150 years old; these are very popular with all audiences. 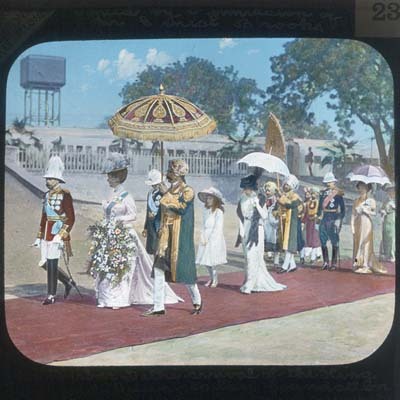 "The Delhi Durbar 1911" - King George V and Queen Mary visit India - a spectacular occasion conducted with full pomp and pageantry - the photographic slides, which are hand-coloured, capture this remarkable event in all its glory. 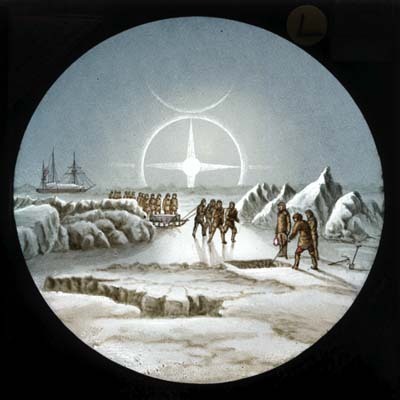 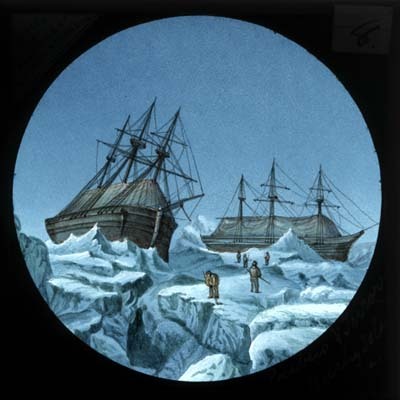 "Arctic Exploration and Sir John Franklin" - Arctic exploration in the Victorian period including the search for the ill-fated Franklin expedition of 1845 - these slides are beautifully hand painted in colour and are miniature works of art in their own right. 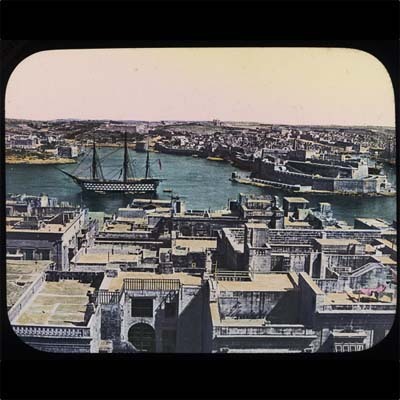 "A Tour Round the Mediterranean Sea" - colourful ports and resorts in the 1890's. 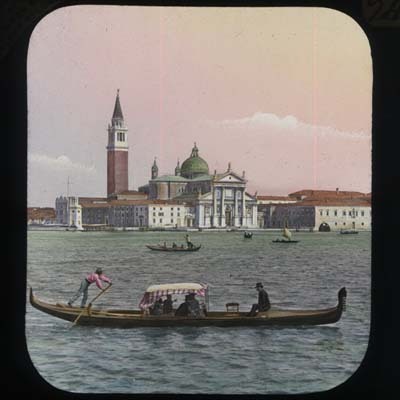 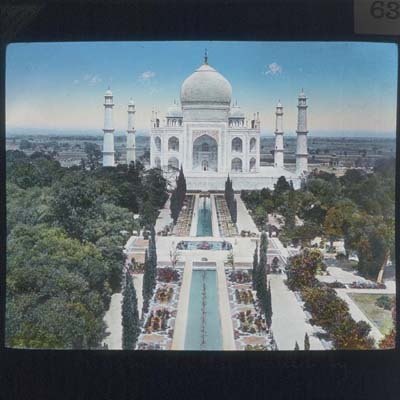 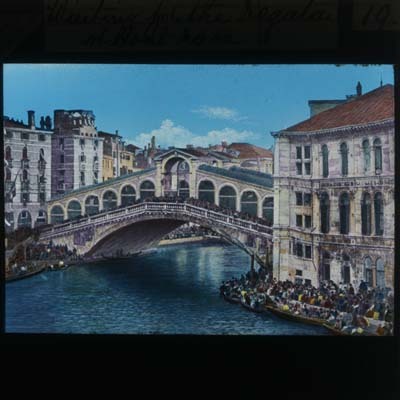 "Round the World Through the Magic Lantern" - a variety of places of interest on a set of slides from the late Victorian period illustrating many different locations. 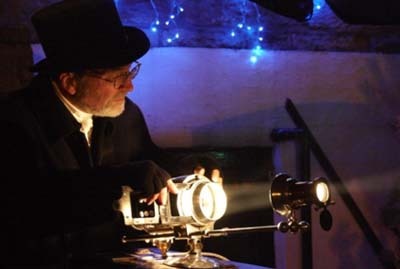 Many of the local magic lantern shows presented by Robin Lidster are for visiting school parties staying at or near Filey, Whitby, Scarborough and Robin Hood's Bay. 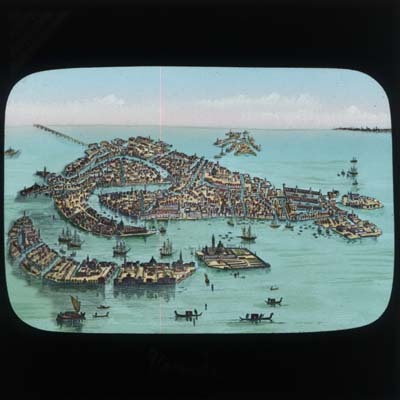 They illustrate various aspects of the local history, geography, transport and marine life of this area in order to provide, as the curriculum demands, a contrast with the schools' home town. 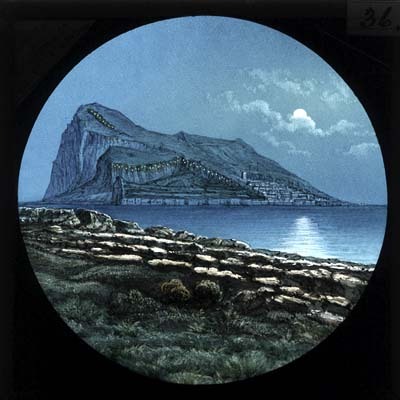 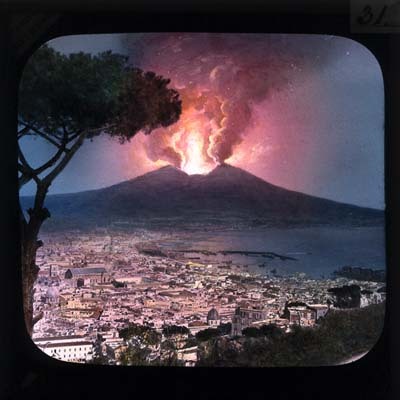 With a very large collection of slides illustrating this locality shows can be tailor-made to suit the requirements of teachers and speaker organisers. 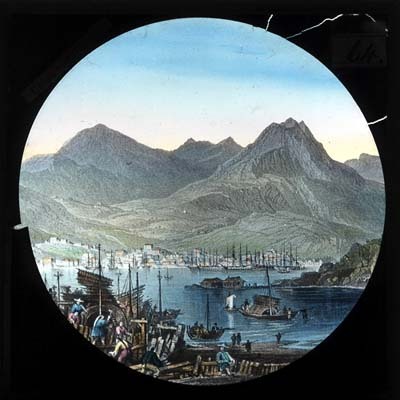 The subjects include lifeboats and shipwrecks, coastal erosion, village life and street scenes, fishing and fishermen and their boats and catches, marine and seashore life, railways and other transport, and many more.